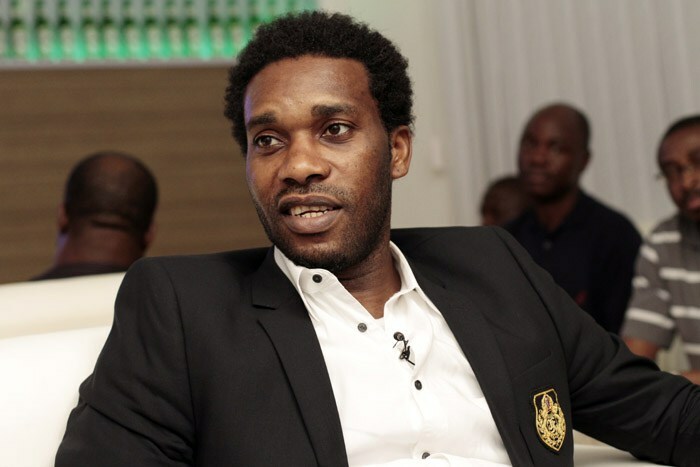 Former Nigeria international Austin Okocha has expressed sadness that the Super Eagles will not be at this year's FIFA Confederations Cup but says he will be rooting for African champions Cameroon. The 2017 FIFA Confederations Cup will hold in Russia from 17 June to 2 July. Cameroon, who were crowned African champions at the 2017 Africa Cup of Nations in Gabon, will represent Africa at the Confederations Cup, their third participation in the tournament (2001, 2003). The Indomitable Lions will face the Super Eagles in a double-header in the 2018 FIFA World Cup in Uyo and Yaounde in August. Okocha who was in Kazan, one of the venues for the Confederations Cup in Russia with Brazil legend and former Paris Saint-Germain teammate Ronaldinho, said he is expecting an exciting tournament. “The champions of each continent are playing at the Confederations Cup, so there’ll be a very high standard of football," Okocha who played at the 1995 Confederations Cup told FIFA.com.